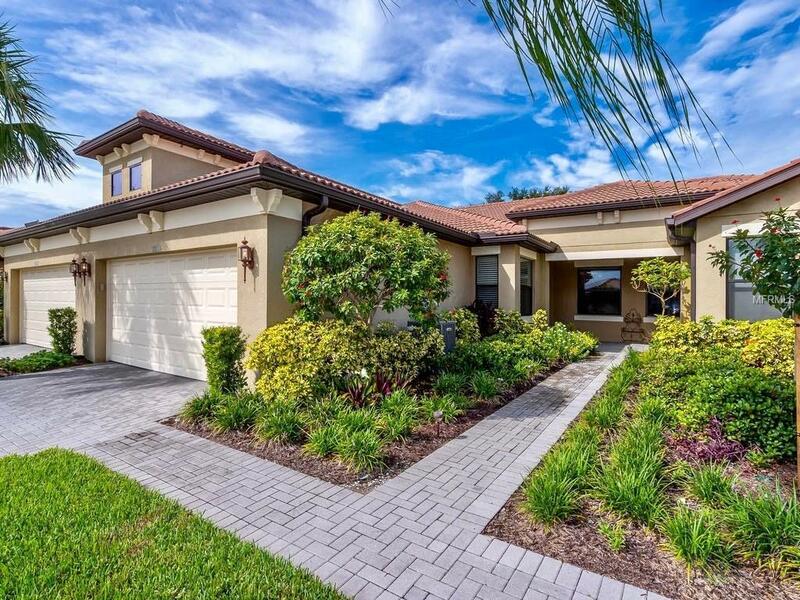 Located in the resort-style community of Venetian Falls, this beautiful attached-villa is move-in ready. A freshly painted interior, large ceramic tile on-the-diagonal in the common areas, new carpet in the bedrooms and den, custom light fixtures and fans, plus granite kitchen counter tops and stainless steel appliances top the list of home features. Four tube skylights provide plenty of extra light throughout the home. Imagine living so close to fantastic amenities and just a few miles from shopping, restaurants, Gulf of Mexico beaches, and historic Venice. Maintenance-free lawn care and cable are included in the very reasonable HOA fees. Roof power washing, exterior paint and mulch are also included and scheduled on a rotational basis. Venetian Falls is an active, gated, 55+ community with fabulous clubhouse and amenities featuring a heated lap pool and spa, resistance-walking pool, bocce ball, putting green, internet cafe, craft room, full-time activity director and more. There is also quick and easy access to I-75 and US 41. Enjoy the convenience, maintenance-free benefits, and abundance of social activities the lifestyle of Venetian Falls offers.